Promote graduate management education on your social media channels with our shareable content. Our images, infographics, and videos are packed with compelling facts and figures designed to help your prospective students better understand the value of a graduate business degree. We created these graphics and videos for others to share. Take advantage of our extensive library and add engaging content to your social media calendar. 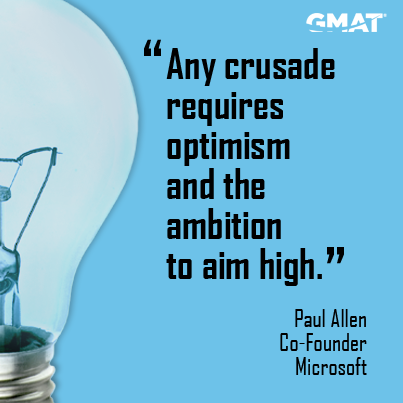 Avoid these mistakes and you'll be ahead of the class on the day of your GMAT exam. 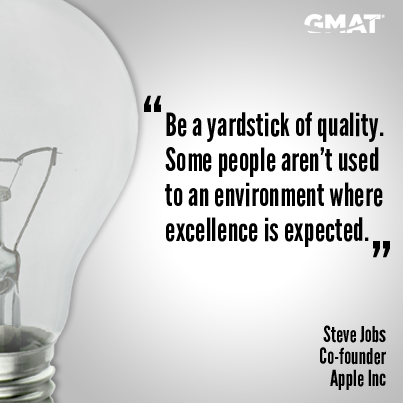 A basic overview of the GMAT Exam. What to bring and what to leave behind. 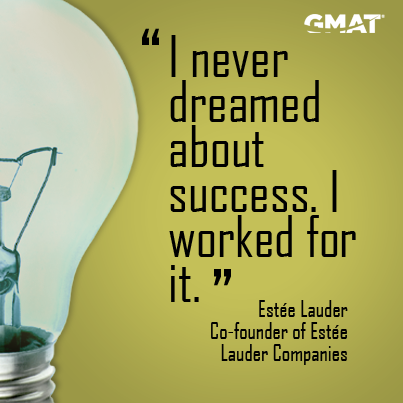 In 2012 a record number of women took the GMAT Exam. This marks the 4th consecutive year that women took over 100,000 exams. On average interns saw a 78% increase in salary from pre-degree earnings. Non-interns reported a 50% increase. Each year about 5% of graduating business school students tell us they plan to pursue an entrepreneurial career. Part-Time Female MBAs: Was it worth it? Part-time MBA programs have become increasingly recognized as a means to develop and diversify business and leadership skills. We asked part-time MBA female alumni, was it worth it? Part-Time Male MBAs: Was it worth it? Alumni weigh in on how a part-time MBA helped bring success to their careers. 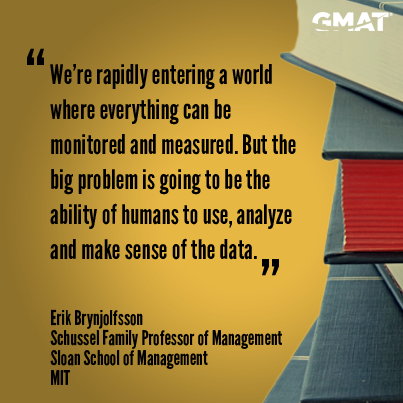 MBA Alumni reflect on the value of their degrees. "When I started in finance, I knew that was where I wanted to be, now I am ready to take my career to a whole new level, to prove that I have what it takes to make it in the competitive world of international business, that's why I took the GMAT." MBA or a Specialized Masters? A specialized masters can help you advance your career. An MBA program is not just about classroom skills. 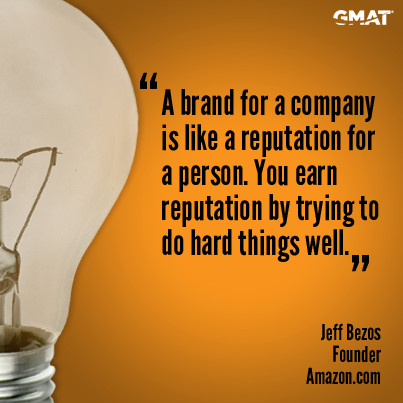 It also teaches you how to think about business challenges, and how to make decisions. For career switchers, make sure you explore all aspects of the degree and that your goals for the degree are clear. 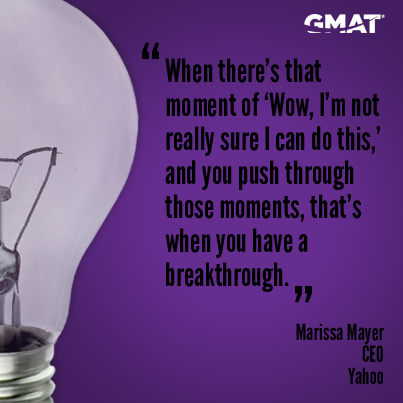 To succeed on the GMAT exam, know yourself, your study habits, and pick a strategy that will help you stay on course and prepare to the best of your ability. MBA students explain the importance of the internship experience in the business school experience. An MBA can give you the classroom, leadership, and people skills you need to succeed in today's workplace. 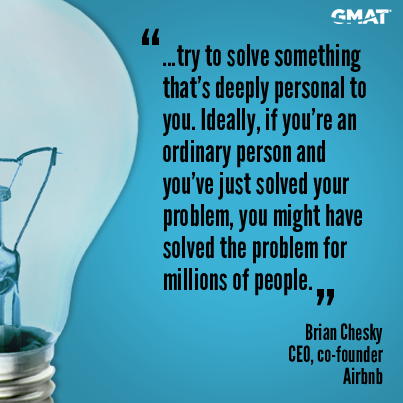 Learn more about how business school inspires entrepreneurial success. Christie St. John from Tuck Business School offers her insights into finding the right program.